…the thought that Jesus intentionally planted and watered into the lives of people, and that He values and even expects His followers to be making disciples as they go in daily life in the same way; by planting and watering into the lives of the people they encounter in their various spheres of living. As planting and watering occurs, both those planting and watering and those being planted and watered into will be ever becoming all that God created them to be. That is, followers who abide in Him, listen to His voice, love like He loves, and blossom the fruits of the Spirit in daily life as they give themselves away into others. What results, since the church is people (a who, not a what), is that the church (people who follow Jesus together) will blossom into what she needs to be in both a local and global context. Jesus values leaders who give less energy to “growing” their church as a centralized organization and more energy decentralizing the church as people to live sent and pour into the lives of other people (who will then blossom which means the church will keep on blossoming). Simply stated, followers of Jesus plant and water. God causes the growth. Therefore, if we give our energy solely into “growing” the church as some programmed organization we simply preserve and manage, we will be attempting something that is not our responsibility and feel the pressures that come with attempting something we are not capable of controlling or accomplishing. However, if we truly love people like Jesus loves them, we will make disciples as He did. We will see each person as He did, and we will pour into them regardless of what they give back, regardless of whether we see the fruit of “church growth.” The goal and purpose would become to be an intimate part of this harvest work that God lets us in on as He grows people to become followers who BLOSSOM the gospel into and thru daily life (Matthew 10:38-42). How awesome would it be if the church gave herself away so that people blossomed rather than expecting people to give into “it” so that the church “grew?” How awesome would it be if the so-called 98% would live sent in the daily? Then, the evidence of the movement Jesus started would blossom all over the place and change the very fabric of culture. 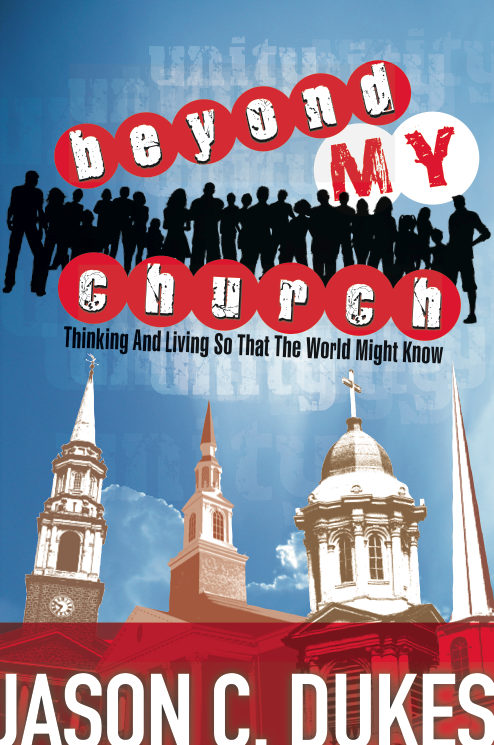 If the so-called 98% see the overrated 2% (pastors) doing nothing more than getting people plugged into the church organization, then they will equate making disciples with turning people inward toward church activity rather than turning people outward toward living sent and being the church in their daily activity. That would be as irresponsible and inefficient as if we yelled at our plants to grow. It’s kind of like that old Frog and Toad story where Toad yells at the seeds he planted hoping they will grow. In Paul’s letter to the church of Corinth, he shared some thoughts concerning this concept. He noted that they had become very inward due to their incessant desire to take credit for their growth. This selfishness was the source of the factions that were stifling them as a church called to live among and love the city. What Paul reminded them of was that growth was never in his or their hands. He and others had simply planted and watered. God caused the growth (1st Corinthians 3:6). >> I planted the seed, Apollos watered the plants, but God made you grow. What is the bottom line difference? When we focus on planting and watering and letting the church blossom, people no longer are seen as patrons of our work, but partners in the work and valuableparticipants in planting and watering and seeing the church blossom. _make sure you are building a bridge between your philosophy of the church and your practical approach to daily ministry. Be open to processing how to do more than gather people. Ask yourself what would you have to change to equip them to live sent. _the church blossoms when you equip and unleash people to pour into other people. Let the people be the church by pouring into the lives of people they encounter in the daily, simply listening to them and including them and loving them and speaking the hope of Christ into their lives. _you hear this blossom stuff, and you might think, “that’s a bit extreme.” We’re not saying dig up the whole plant and throw it out, though, unless of course it just can’t bear fruit anymore. What we and others have actually found is that when you commit to plant and water into lives you end up finding balance in every facet of ministry. You end up valuing people like God values them and seeing life like God sees it and surrendering the things He does not value (things we tend to give too much energy to). Thus, your philosophy of ministry and your theology and your ecclesiology and your missiology and your whateverelseology become focused in Him and are grown to reflect His heart to see His gospel blossom in everyday lives. _what if the role of the pastor is not CEO, but waterboy? What if we should be doing less of telling people what they should be doing and more of resourcing people for what they could be doing and in many cases are already doing? _the evidence of success for a church is not determined by how many gather, but by people living sent. Are you doing everything you can as a church leader to help the 98% know how valuable they are and how much wisdom they have in Christ to listen to and speak into others? When we get rid of the 98% mentality and 100% of us trust the value Jesus has declared about us (that we are worth dying for), then leaders will be secure enough to unleash people and all of us will be confident enough to speak and do what the Spirit whispers to us to speak and do. That’s when the church becomes what Jesus intended. That’s when she blossoms.